Over the weekend, one of our readers received the email of his dreams from Verizon. It included details on how he could get himself into a Galaxy Nexus for…free! The post caused quite the stir in the comments and across the web as VZW customers called every customer service number on the planet to try and find a way to get a similar deal. Most came up empty and we now know why. 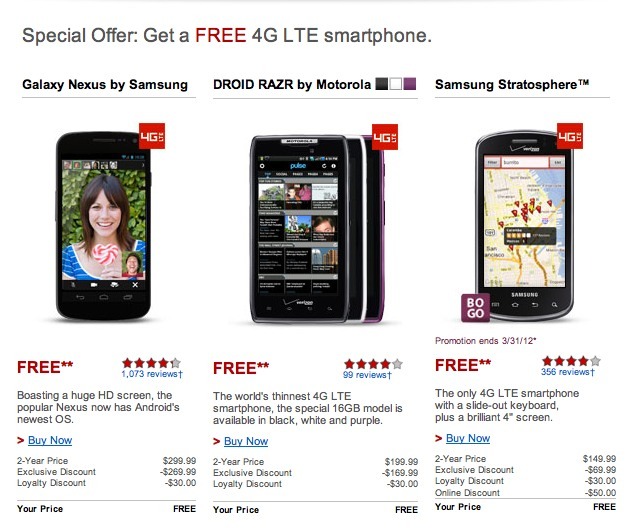 According to Verizon, the deal is only available to the select regions of the country. Customers are also selected according to a number of criteria, so calling in to see if you qualify is not going to get you anywhere. If a mailer shows up on your doorstep or an email in your inbox, then you know you are in the proper region and meet their checklist. Basically what I’m saying is, stop calling Big Red.